We are proven experts in providing real estate property tax appeal appraisals in Maryland. We understand the challenges our clients face and we pride ourselves on providing expert property tax appeal appraisals tailored to the needs of our clients. 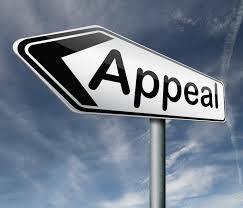 If you would like to learn more about the Tax Appeal Appraisal Process click here. Our Certified Residential Appraisers have performed hundreds of property tax appeal appraisals for clients over the last 14 years. As a local real estate appraisers we have developed a reputation for our quality service, innovation, and expertise in residential property tax appeal appraisals. We are FHA and VA Certified and have extensive experience appraising properties for major banks and financial institutions as well as attorneys for Bankruptcy, Divorce and Estates. Our state federal certification means that you can submit our appraisals to the state and federal government for tax appeals as well. Whatever your appraisal needs, you have come to the right place.